Steel Flanged Wheels supplied with integral beam. Not for the faint hearted! 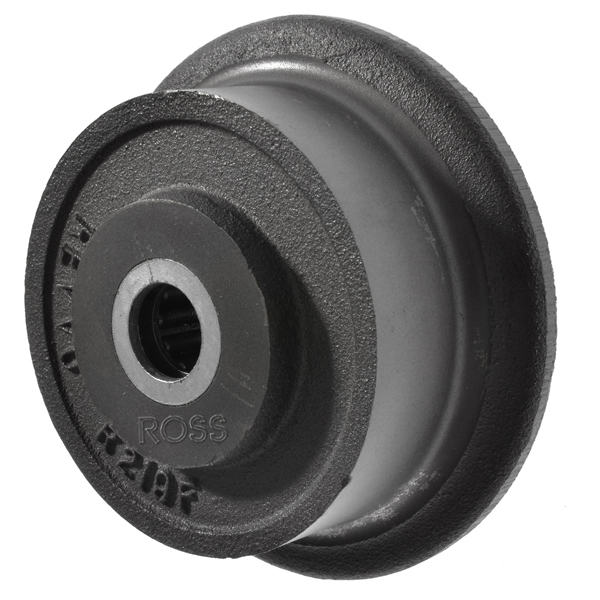 These steel channel wheels have been designed to run and fit standard sections of steel beam and steel channels. Each Steel Flanged Wheel has a wheel diameter and a flange groove diameter added on to it to make the overall diameter. Each of these channel wheels has an integral stem attached making these wheels some of our most industrial steel wheels we offer! Our heavy duty cast iron wheels and cast iron groove wheels are for heavy duty applications where the strength of iron and steel is required. Flanged and rail wheels are specifically designed to run on rail track to guide equipment, machinery and heavy gates and doors. If you cant find what you need, let us know as we can manufacture to order specific steel and cast iron wheels, based on your specification and application.